Everyone is welcome to ‘join’ the Friends of Marsden Library as a basic member. As a basic members, you will receive a regular e-newsletter updating you on what we have been doing and promoting events and other opportunities to get involved, such as one-off volunteering events. Members of Friends of Marsden Library are entitled to attend and vote at the Annual General Meeting. You can opt out of membership on the application form below, or by emailing us at info@friendsofmarsdenlibrary.org.uk. You can continue to belong to the mailing list without being a ‘member’ of Friends of Marsden Library. Join the Friends of Marsden Library! 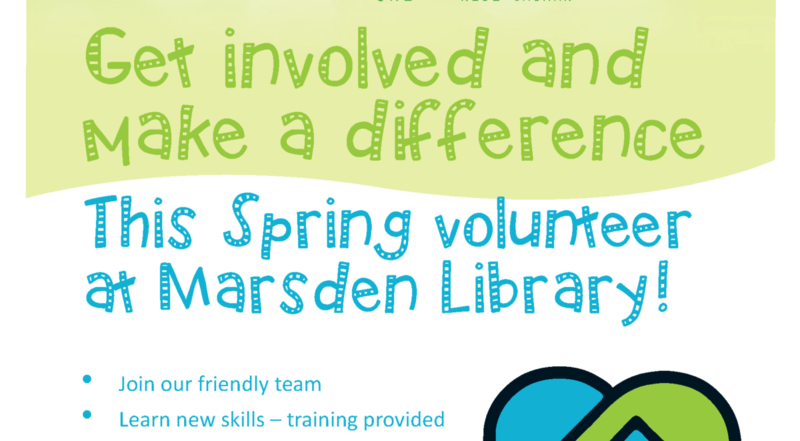 The Steering Group is a committee that meets monthly to run Friends of Marsden Library activities. It maintains the website, Facebook page, and Twitter page, and works in partnership with the Library to promote library events. If you are interested in becoming a member of the Steering Group please contact us or come along to one of our meetings. We generally meet on the third Monday of the month, 6.45 – 8.15 in the Meeting Room, Marsden Mechanics, but it is best to check the events calendar for the details of the next meeting as it may be necessary to vary from this schedule. You may have other ideas on ways to help too! Volunteers will be invited to an induction session and the training they receive will depend on the role they choose. Volunteers supporting with frontline enquiries will be required to attend a number of classroom based training sessions (mostly based in the library) followed by a period of time shadowing existing staff. Is it possible to ‘job-share’ as a volunteer? (e.g. 2 people agree to cover one session between them). Yes. This may be a good way for people who have other responsibilities, (e.g childcare) that make it difficult to commit on a weekly basis but could perhaps manage every other week with a friend covering the alternate sessions. Please speak to the library to discuss this option.